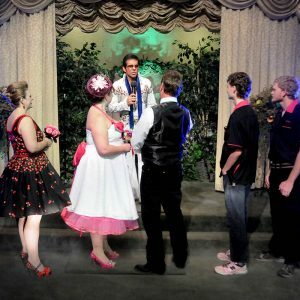 The tattooed groom sporting a pompadour and bowling shirt flirts with the bride dressed in a strapless wedding gown! Make your wedding statement loud and clear and to the beat of your favorite Rockabilly songs. 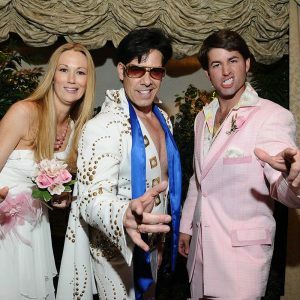 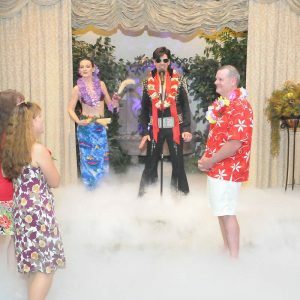 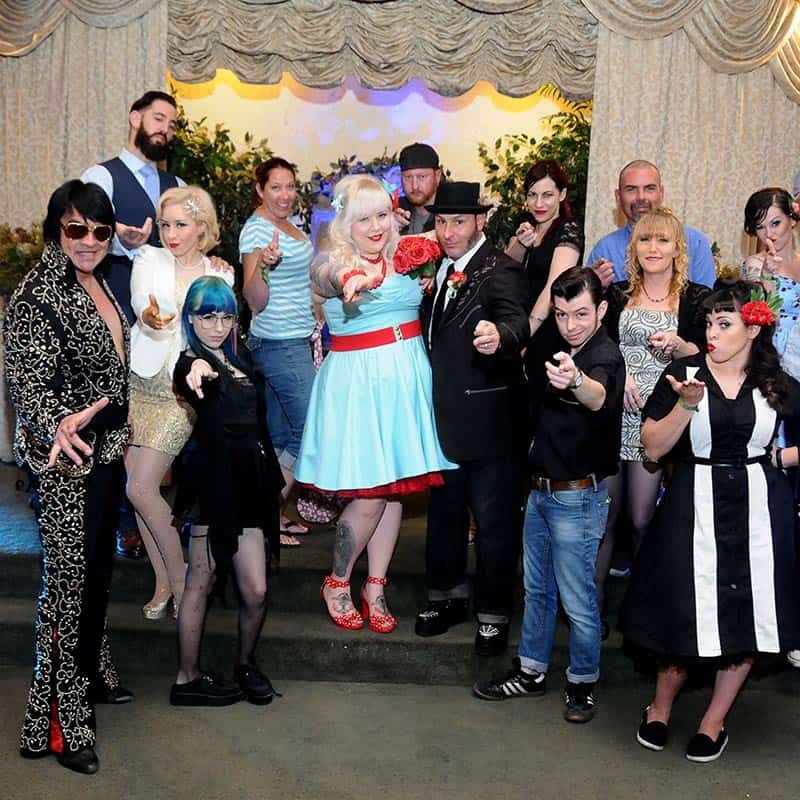 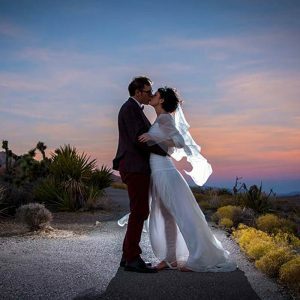 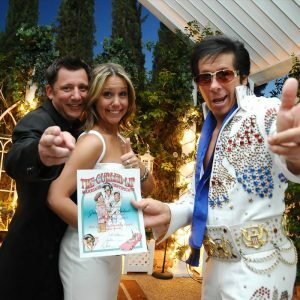 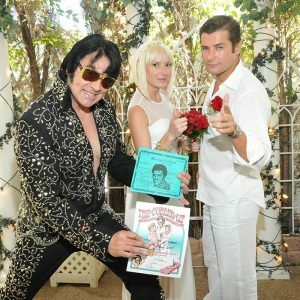 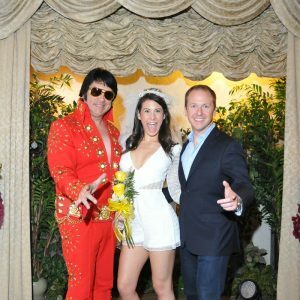 This themed wedding ceremony will take place in the Rock-a-Billy Las Vegas Wedding Chapel.